Amazing culture, beautiful seas, and plentiful water activities are just some of the reasons to boat in the Caribbean. 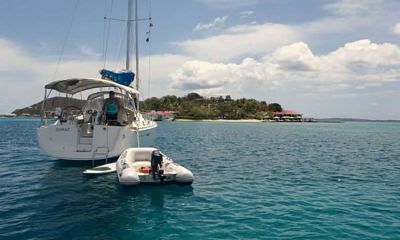 Whether you wish to scuba dive, snorkel, or simply cruise from island to island, the Caribbean Sea is sure to astound. The top 10 boating destinations in the Caribbean are only a small smattering of places to go to enjoy the culture. Just 50 miles from Florida, the Bahamas are a destination all on their own for boaters. Thirty of the largest islands are inhabited, many with stunning resorts and shopping. Bimini is the closest island to Florida and Inagua the southernmost destination. 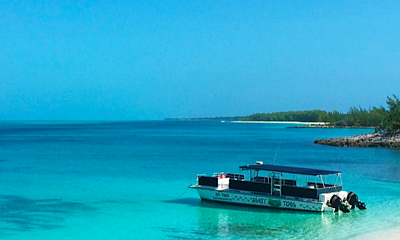 Nassau is often a trip for Caribbean cruise ships leaving from Miami, so you might want to consider Cat Island, Exuma, or Abaco instead to avoid the large crowds. These lesser-visited islands still offer the culture and heritage of the Caribbean and Spanish settlers. Aruba is the most popular island in the western Caribbean. Part of the Kingdom of the Netherlands and located just north of Venezuela, Aruba offers 20 miles of land with sandy white beaches, Mount Jamanota, and Arikok National Park. Aruba is a paradise for the younger crowd who enjoy resorts, casinos, and nightlife. It is a fast-paced island with a friendly population. A scuba diver’s paradise, the Cayman Islands offer clear blue-green waters and coral reefs. The Caymans have the reputation for offering some of the world's best diving spots. Grand Cayman, Cayman Brac, and Little Cayman are the three islands that make up the Caymans. They are a mixture of luxury resorts and secluded destinations, providing something for everyone. While visiting the islands, consider Bodden Town’s Gun Square Pirates' Caves, and Slave Wall. Turks and Caicos are two resort islands. Provo is one of the most visited spots; consider instead South Caicos and Salt Cay for a less-populated journey. These are two of the top scuba diving locations. 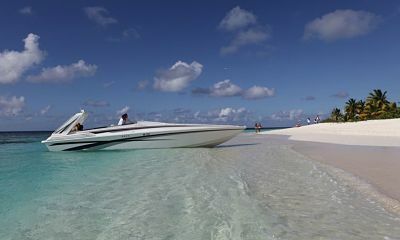 For those who sail during winter, anchoring around Mouchoir and Silver Banks near Turks is best. At this time of year humpback whales are migrating in the area. Both the British and U.S. Virgin Islands are popular destinations for boaters. With several islands including Tortola, Virgin Gorda, St. Croix, St. John, and St. Thomas, there are plenty of attractions and ports to visit. St. John is home to the Virgin Islands National Park which is well known for its scuba diving and snorkeling. If you want to spend some time on land, hike through the tropical rainforest setting of the park. Tortola, the largest of the BVI, is known for its water activities as well as the Old Government House Museum, the official residence of the governor. Barbados is a popular boating destination because of the friendliness of its residents and its natural beauty. Barbados is largely a sugar plantation island with rows of sugar cane lining the roadside. It is also a place of fragrant flowers like jasmine, oleander, cassia, hibiscus, and lady of the night. Shopping is a must in Barbados with many British clothing shops, and Scottish and English fabric stores. Along the northeastern curve of the Caribbean Islands lay Antigua and Barbuda. Many visitors tend to visit the two main islands, but there are a few other, smaller islands which you can visit. Known as the “Land of 365 Beaches” for the many miles of coastline they offer, Antigua and Barbuda are great options to soak up the sun and hit the surf. St. Lucia is known for its banana plantations, mountains, and verdant valleys. It is often referred to as the "Helen of the West Indies" for its beauty. Many small fishing villages are nestled along the beaches, which gives visitors an idea of the culture and heritage of St. Lucia. For those who wish to stay a little longer than a day, hiking the Pitons, twin mountain peaks called Gros and Petit, is an option — but be sure to get a guide on Gros Pieton, where it is required. St. Martin is divided into two sections, the northern part of the Island being French and the southern is part of the Kingdom of the Netherlands. For many years the island was an unknown destination for tourists. However, this has changed with many resorts and vacation rentals available. Many visitors head to Philipsburg, Oyster Pond, and Great Bay. Diving is a must-do activity, while shopping is also a popular pastime when boating around the area. These islands are very close to each other, just two miles apart, which allows boaters and travellers to easily visit both. St. Kitts is mostly known for having the finest beaches of the Caribbean, while Nevis is known for Mount Limuiga. This single peak mountain rises 3,232 feet above the white sandy beach and coral shores of the Caribbean Sea. Historically, Columbus first charted the islands. The French were next establishing a colony and controlling the islands for 160 years. The impact of France remains and is seen in the buildings and languages used on both islands. With nearly 3 million square kilometers of area and over 700 islands to choose from, a boating trip in the Caribbean offers many exciting opportunities and beautiful lands. From hiking up mountains to snorkeling to soaking up the sun’s rays on a sandy, white beach, the Caribbean truly offers something for everyone.